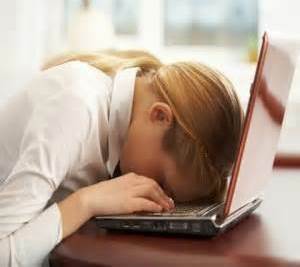 High levels of copper and other mineral imbalances result in on going lethargy, exhaustion or Chronic Fatigue Syndrome. The balance between the minerals or sodium and magnesium indicates the strength or insufficiency of the adrenal glands. When the adrenals are activated, sodium will increase. Constant stimulation by ongoing exposure to either severe short term or chronic long term stress will exhaust the adrenal glands and alter the body’s ability to maintain optimal energy balance. High sodium and potassium levels, especially relative to calcium and magnesium, indicates high adrenal activity. A low sodium level which indicates exhausted adrenals and chronic fatigue. High levels of bio-unavailable copper which will also exhaust the adrenals. Copper also plays an important function in those with chronic fatigue due to copper’s role in ATP energy production. Once the exhausted adrenals, the body will constantly feel fatigued even with adequate sleep which will result in other physical and psychological conditions. Improving adrenal function is a key focus of mineral balancing for improved stamina, energy and outlook on life. Chronic Fatigue Syndrome (CFS) symptoms can be support with mineral balancing.